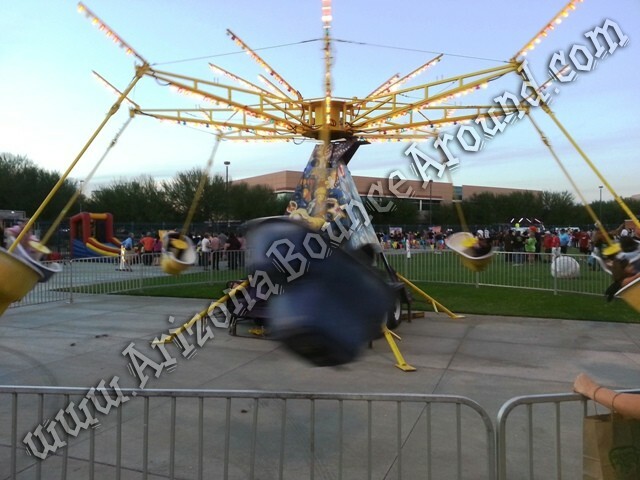 Our Mindwinder carnival ride is the perfect attraction for kids and family events that spin up to 16 kids or adults like a swing ride but you can spin the tubs like the tea cups at Disney Land as fast or as slow as they want as the ride turns around for a complete mind winding experience. 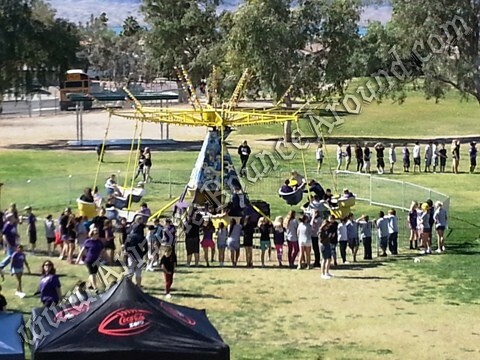 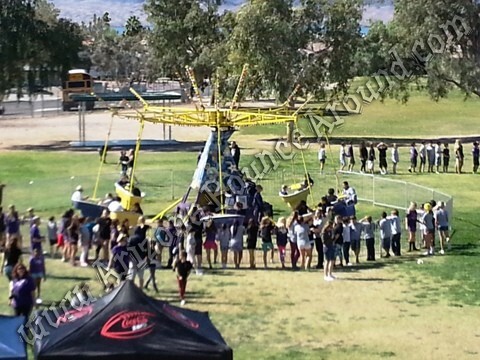 Be sure to check out the videos and photos below of this amazing carnival ride for kids below. 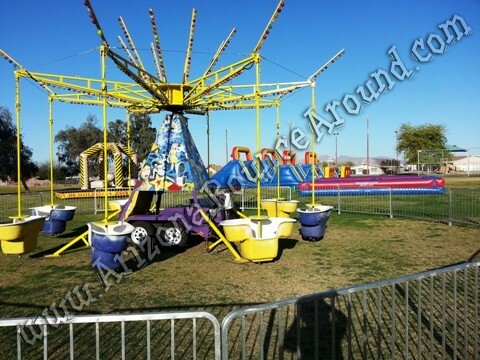 All of our carnival rides are state inspected and required in the state of Arizona so dont rent a carnival ride from anyone that does not have this inspection. 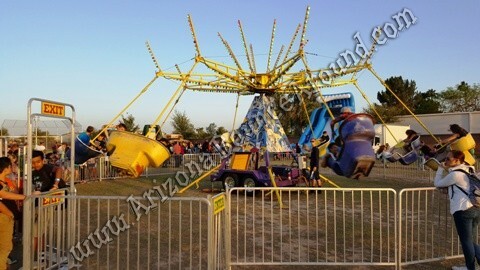 Our Mindwinder ride is state inspected and ready for use. 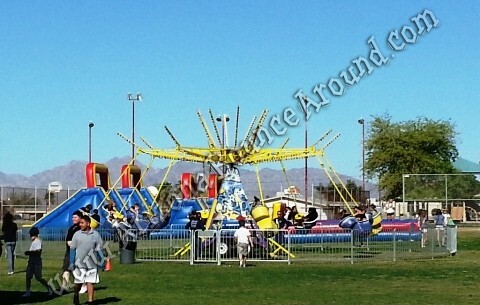 This mindwinder carnival ride will please teens and adults so it's perfect for carnivals, fairs, school or church carnivals, birthday parties or anything you can think of. 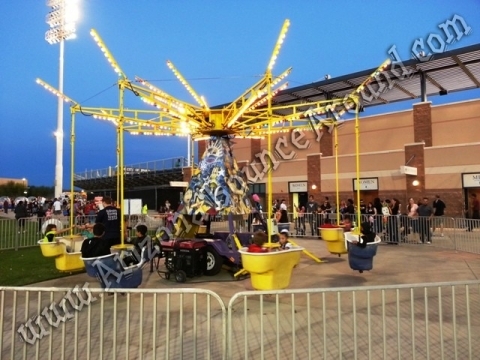 This Mindwinder ride has real carnival lights and comes complete with its own generator so all we need is the space and you will be sure to have an awesome experience with this spinning carnival ride. 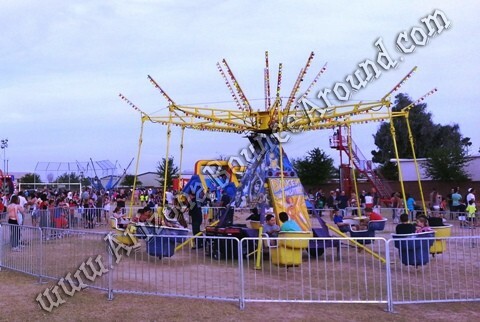 This Mindwinder carnival ride is now available and has custom carnival paint and LED carnival lights so reserve it now for your next event. 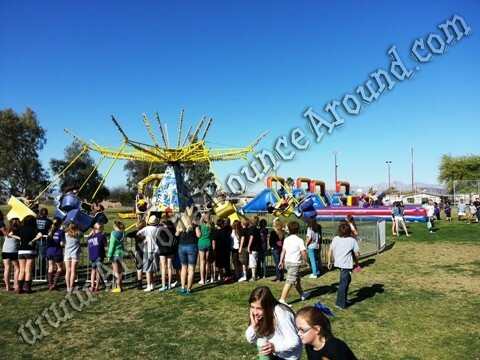 We are a full service event rental and kids play zone company so call us with your details and we will be happy to help plan your next carnival.